At the Millennium Wedding Showcase 2019, explore the wedding venues of four beautiful hotels– Orchard Hotel, Grand Copthorne Waterfront Hotel, M Hotel, and Copthorne King’s Hotel–and enjoy exclusive perks and privileges at the event. Following the success of their first showcase last year, Millennium Hotels and Resorts presents the Millennium Wedding Showcase 2019 on Sunday, 21 April 2019, where you can explore four beautiful hotels in their wedding finery in just one showcase! 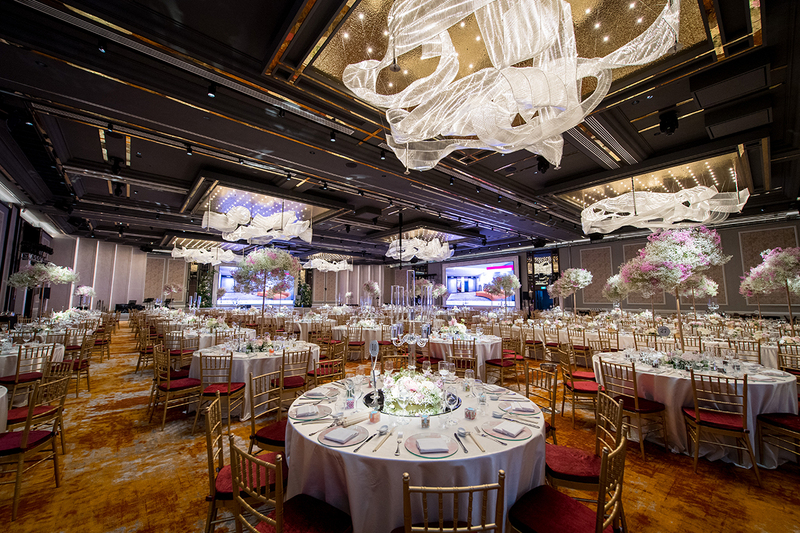 Be inspired by romantic gazebos, grand ballrooms, and the newest wedding themes, while savouring the signature culinary creations of Orchard Hotel, Grand Copthorne Waterfront Hotel, M Hotel, and Copthorne King’s Hotel. You’ll also enjoy exclusive on-day packages and offers, and a chance to win hotel stays in Auckland, Dubai (with a S$500 travel voucher), and London (with a S$1,500 travel voucher), and even a dream honeymoon stay in Millennium Broadway New York Times Square along with a S$2,000 travel voucher! Start your wedding planning journey at any of the four Millennium Hotels, and hop on the complimentary shuttle service between hotels, operating every half-hourly between 11am and 5pm. Collect stamps from all four hotels on your wedding passport to redeem a $118 dining voucher! Take advantage of exclusive on-day packages and perks from Orchard Hotel, Grand Copthorne Waterfront Hotel, M Hotel, and Copthorne King’s Hotel. Find your dream wedding gown from Yvonne Creative Bridal and Love Story, be serenaded by a live band, and enjoy special perks from more than 20 curated bridal partners. HSBC Credit Card holders will enjoy exclusive offers. Situated on the banks of the Singapore River, Grand Copthorne Waterfront Hotel offers an elegant setting for your wedding. Exchange your vows in the incredibly romantic gazebo at The Promenade, and celebrate your union in the glass-walled Grand Ballroom that opens up to enchanting views of the garden or the starry night. At M Hotel, the elegant Banquet Suite in the perfect setting for an intimate celebration with up to 320 guests. After your wedding, the romance continues in the spacious Bridal Suite, where your very own Jacuzzi awaits for a luxurious bubble bath together to unwind after your exciting day. Conveniently located in the heart of the city, Orchard Hotel Singapore is an elegant venue for grand ballroom weddings with up to 1,000 guests.The newly refurbished Grand Ballroom features floor-to-ceiling LED walls to create a sophisticated and opulent atmosphere where you can feast your guests with exquisite Cantonese cuisine by the award-winning Hua Ting Restaurant, and relax knowing that the expert team will see to your every need and preference. Discover a beautiful boutique hotel setting at Copthorne King’s Hotel just five minutes from the city centre, where your guests can savour lavish culinary delights by the award-winning Tien Court Restaurant in an elegant and cosy celebration. Speak to the dedicated team of events specialists about creating a wedding that reflects your journey as a couple. In addition to exclusive wedding packages and perks from the hotels and vendors, you’ll also stand a chance to win amazing prizes in the Lucky Draw when you confirm your wedding, such as a Garden Terrace Solemnisation Package inclusive of cocktail reception with free flow of beverages and desserts worth S$3288++ from Copthorne King’s Hotel, a wedding gown rental from Yvonne Creative Bridal worth $1,800, and four hours of photo booth service worth $1,600! Plus, you stand to win hotel stays in Auckland, Dubai (with a S$500 travel voucher), or London (with a S$1,500 travel voucher), and a dream honeymoon stay in Millennium Broadway New York along with a S$2,000 travel voucher in the Grand Lucky Draw! Don’t miss this unique opportunity to view four beautiful hotels dressed up in their wedding finery, all in a day. The Millennium Wedding Showcase 2019, held on Sunday, 21 April 2019, from 11am to 5pm, will offer exciting wedding packages and perks, and your chance to win incredible prizes. Register for the wedding showcase here. HSBC Credit Card holders enjoy a discounted admission fee of $15 nett per couple (U.P. $20).